Let’s face it, it’s a scary world out there! Things are a lot different than they were when we were growing up. All those changes mean we need to be extra aware for our kids. Here are 10 tips to help keep your children safe. Did you know that on average, 2 people drown each minute? That’s 1.2 million people worldwide each year, and half of them are children. 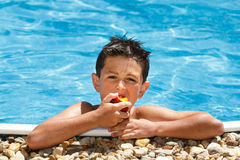 Kids love water, and don’t always understand how dangerous it can be! It’s your job to make sure they stay safe. Make sure your children understand they should only play in the water if a grown up is around. The same goes for any kids who come over to your house know the rules too. And scope out hidden dangers like doggy doors…little people can easily fit through, and by the time you notice, it might be too late. It takes just 2 minutes for a child under water to lose consciousness. You don’t have to be in over your head to drown. Any amount of water can be dangerous. Did you know you can drown in just over an inch of water? That’s about half the length of your pinky finger. Whether playing in a kiddie pool or giving your little one a bath before bed, you need to be paying attention. Never leave kids alone in any kind of water. All those cleaning supplies you use to keep your house in tip-top shape are bad news for little ones. You should always keep cleaning supplies out of reach and put a lock on cabinets where you store them. It’s important to keep medication away from kids too. Those pill bottles might say they’re child proof, but the only real way to make sure is to keep them out of your kids’ hands. If your child does get into those dangerous and potentially deadly items, call Poison Control right away. If you choose to own a weapon, it’s your responsibility. That means making sure any children in the home don’t have access to it. Keep your firearms in a locked safe, and don’t ever let your kids see how you open it. It’s also important to teach children weapon safety. Just because you keep your weapons locked away doesn’t mean your child’s friends are as responsible. Kids need to know weapons are NOT toys, and if one of their friends tries to play with a weapon they should let an adult know right away. We’ve all seen the stories on the news of children being attacked by animals. While you can’t control every pet your kids meet, you can teach your little ones how to behave around animals. First, never leave young children unsupervised with an animal. Accidents happen with even the friendliest pet and you don’t want to take any chances. Teach your children never to approach any animal when it’s eating, sleeping or chewing on a toy. Make sure your kids know how to be gentle when petting an animal, and not to approach someone else’s pet without asking the owner’s permission first. If they do get permission, teach your children to approach from the front and pet it under its chin, not on top of the head or the back. That way the pet can sniff them out first and isn’t surprised. With kids you learn to expect the unexpected. We know accidents can happen, but making sure you and your family are prepared for emergencies can make those accidents less scary. When your child can say his or her first and last name and knows their address, you can teach them to call 911. Explain things that can happen that would require them to call 911 and show them how to do it. It’s important that you don’t scare your children, but make sure they know this is a serious conversation. Any adults in the home should know how to perform CPR on children. Carrington College has created an easy to use guide to show you how to do CPR. Chances are your kids know how to use your phone or tablet better than you do, and they have no problem searching for things online. If you’re like most parents, you’ve probably gotten some tips on how to use technology from your kids at some point! If you let them use social media, you need to be involved. Make sure your kids know your rules – can they only play online during certain times of day? What sites are they allowed to visit? If you set up Parental Controls on your computer, then you decide when and how kids can use the technology. There are also programs that can block certain websites from being used on your devices. Also, it’s a good idea to keep any internet usage in common areas of the house – no playing around behind closed doors. Talk to your kids about who they’re talking to, and make sure they know sometimes people say they’re someone they aren’t. Your kids need to know their personal information is personal. They should never give out their phone number or address to a stranger. If they do use social media, make sure any identifying information is kept private. Talk to your kids about what kind of pictures they’re sharing, and make sure they know what’s ok and what isn’t. You pay for it, so you get to know what’s going on. Don’t feel bad asking your children to share their social media passwords. It’s your responsibility to make sure they’re being responsible online. If they don’t want to “friend” you that’s ok (would you have wanted to bring your mom to the mall to hang out with your friends? Same thing), but let them know you will be checking in on them from time to time to make sure they’re following your rules. Nobody wants to think about strangers trying to kidnap or hurt your kids, but the reality is, it happens. Your kids need to know who they can talk to and who they can’t. It’s important for you to talk to them about stranger danger. You should explain the difference between “good” and “bad” strangers. Good strangers might include police officers, security guards or teachers – people your kids can turn to if they need help. Bad strangers are people who want something from them, or try to get them to go somewhere. One way to help your children is to have a safe word. That way if an adult says they know you, your child will know if they’re telling the truth by using that safe word. Strength in numbers! Kids should always do stuff with a buddy. That can be mom or dad, a sibling or friend or a teacher or coach. Make sure your kids know whenever they’re out of the house, they should have a buddy with them. We’re talking about when they have to use the bathroom in a public place, when they want to go to the park, when they’re in a store…anywhere there’s a chance they could be separated and something bad could happen. This goes both ways. If you see a child alone in public, get down on their level and ask if they’re ok and who they’re supposed to be with. Then flag down another adult and ask them to go get a store worker or security person. 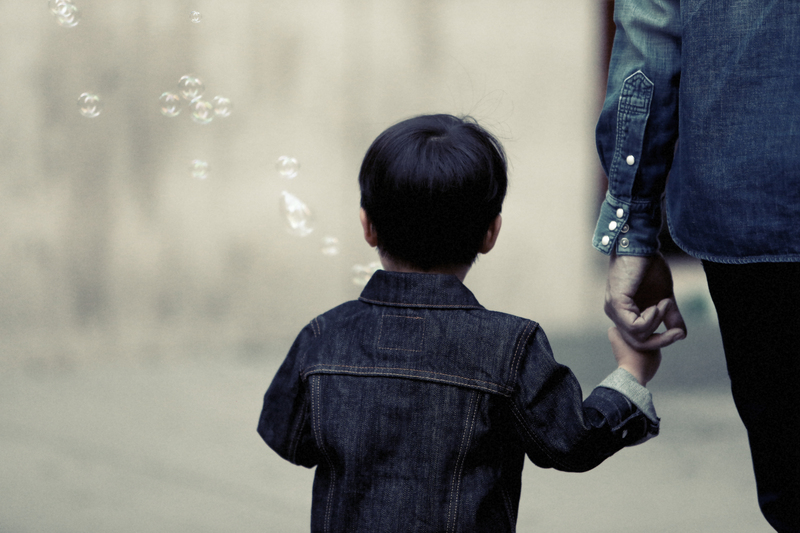 Don’t walk away with the child – his or her parents are probably looking for them. Your child’s safety is in your hands. It’s up to you to make sure your kids are protected, and the best way to do that is to be involved. Even when you think you’re doing everything right, things can still go wrong. That’s why it’s your job as a parent to protect your children and to know what to do if the unexpected does happen. If you know what they’re into (and what they shouldn’t be into) you’re on the right track.